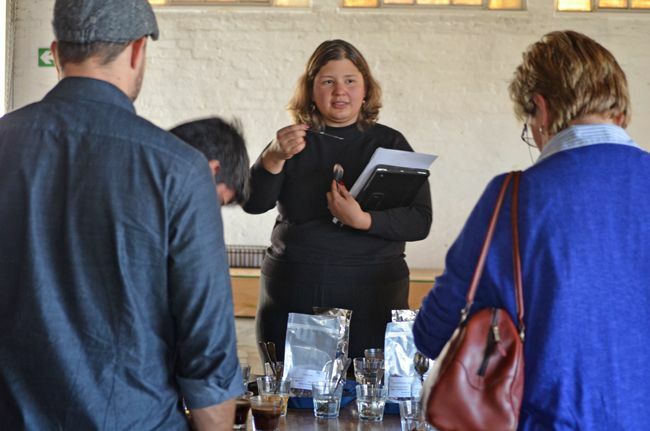 Alicia Reyes-Niederheitmann (pictured above) hails from Nicaragua and she is heading up a Central American injection of beans into South Africa, with NICA Brands, promising personal relationships with the farmers and some of the best beans from 5 of the coffee producing Central American countries, namely Nicaragua, Costa Rica, Honduras, Guatemala and El Salvador. 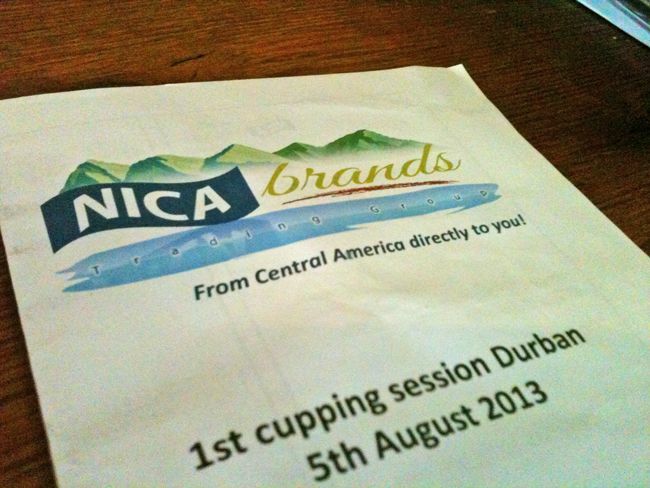 NICA Brands: the logo shows five volcanos located in the five countries they represent. Colombo Coffee & Tea were our hosts for the morning. 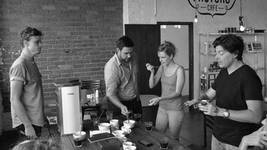 Kyle and Maxine (Cup Tasting Champion 2013) set up the session for us. 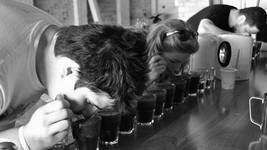 We cupped seven coffees in total, which resulted in a lot of slurping. 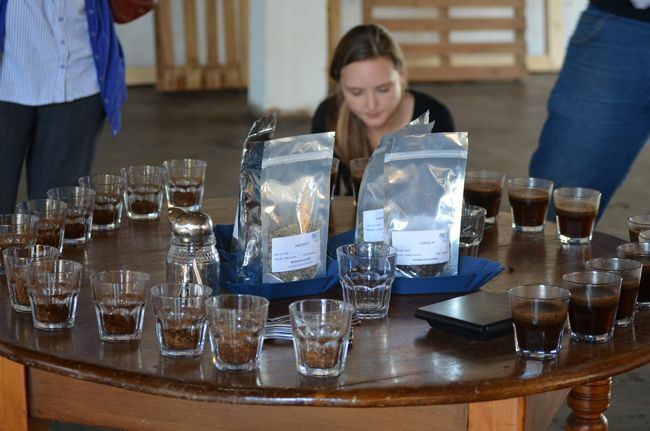 With tales spun in a Spanish accent of coffees grown on tiny islands in the middle of lakes in Nicaragua (Omtepe) and co-ops that have been working at improving the quality of the coffee since 1998, we all had our spoons at the ready. 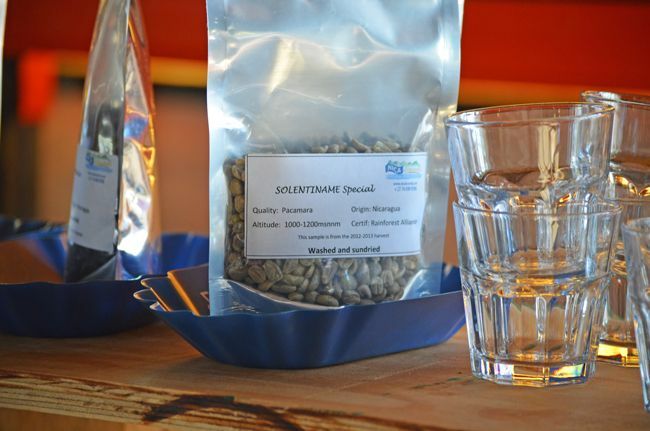 There is a strong focus on the coffees being officially certified whether it be Organic, Rainforest Alliance or Fair Trade, where all the coffees are traceable to the specific farmers who work with them and those farmers see the benefit for this care and attention to detail. The tasting table. We began with dry fragrance, smelling the freshly ground beans; wet aroma, breaking the seal of the brewed coffee; then we tasted the spoils. 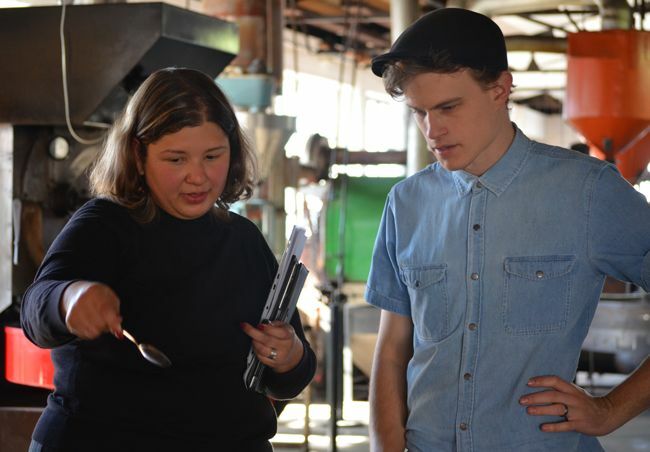 Marian of Terbodore made the trek from the Midlands for the occasion, the husband and wife duo behind Beanstruk in the Litchi Orchard, Michelle and Craig, were also in attendance, as well as Lani Snyman from Ciro Beverage Solutions and Craig Charity of Lineage Coffee. Even Wayne Oberholzer, 2012 SA Barista Champ gate-crashed, as he is in town for the KZN Barista Regionals! 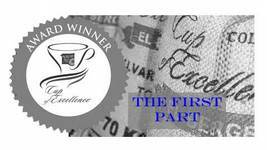 If you want to learn first-hand how the art of cupping is done, the Cup Tasting Championship is happening on Thursday at The Good Food and Wine Show and you could win tickets to come watch, enter here now!